Today we have the pleasure of hosting the End Times Blog Tour! 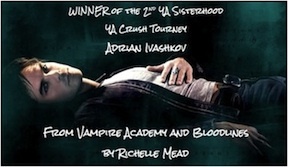 Anna has graciously given us a wonderful question and answer guest post!!! Thanks Anna! Don't forget to comment on this post for a chance to win a copy!!! What are 7 things you learned from writing your first book? It is, in fact, possible to write and sell a novel while working fulltime, maintaining friendships and a relationship, and still enjoying your life. It just takes a little extra discipline, and the willingness to make the time. Your work is only as good as the team around you. I was so fortunate to have an amazing editor, agent, and publicist who believed in the book as much as I did – sometimes more! I couldn’t have done this without them. Nothing kills writer’s block like a hoop jam! Sometimes the only way I could get unstuck was to get up, grab my hoop, and move. When it comes to time, more is more. I wrote END TIMES over the course of a summer because I was super excited about the idea and wanted to get it all down before it was gone. Then everything happened so fast: Penguin bought it, and wanted it for their spring list, and all of a sudden I had to turn around two new drafts in a month! I’m really happy with the book, but there are things I would have changed if I had more time. It still bothers me that Luna eats bacon in one scene, because in Book 2 I wanted her to be a lifelong vegan! Some days will be more productive than others. It’s important to grab the productive days by the horns and ride them as hard as you can. You can’t just be a writer. You also have to be a reader, a movie-watcher, a theater-goer, an occasional Netflix-binging couch potato. You have to go play outside, go dance, spend time with friends, do yoga – whatever feeds your soul besides writing. Your life becomes unbalanced if you spend all your time producing and none consuming, just as it gets out of whack if you’re always consuming without ever producing. They feed each other, and you need both to survive. I thought all I ever wanted was to get a book published. Now, all I want is to write and publish more! Anna Schumacher is an award-winning copy writer who has worked for DailyCandy, Night Agency and is currently the Associate Copy Director at Hearst Digital Media, which manages all marketing for 25 websites including seventeen.com and luckymag.com. A strategic thinker with strong digital expertise and social media fluency, Anna is a fiction writer at heart. She received an MFA in fiction writing from The New School. She lives in Brooklyn, New York with her husband and their two cats, Gus and Alexis. 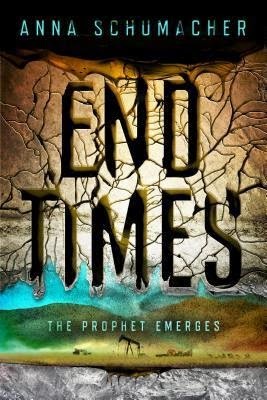 All you have to do is comment on this post to be entered to win a copy of End Times!!! I am seriously dying to read this book! I think I screamed when I found out it was going to be Georgia and Logan. This book is going to be explosive! I loved the 1st 2 books in this series, so if you haven't read those, now is the perfect time! Trust me, you will thank me later! How did you come up with the idea for the MORTAL ENCHANTMENT series? What scene was your favorite to write in MORTAL ENCHANTMENT? Why did you decide to give the prequel novella, THE SHADOW PRINCE, away for FREE? Can you tell us a little bit about Rowan? Read a lot. Write a lot. You can't have one without the other. It sounds simple, but it's really true. Quit making excuses. If you want to be a writer, be one. If you really want it, it won't happen without a ton of effort. Oh, and never give up! 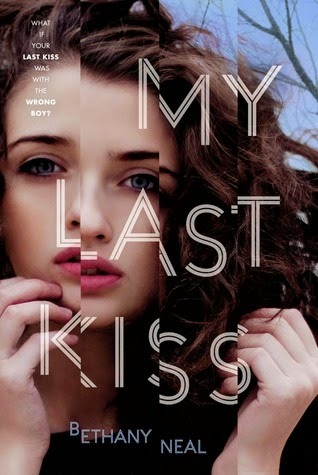 Hi everyone, today we have the pleasure of hosting the Blog Tour for Bethany Neal's book, My Last Kiss. 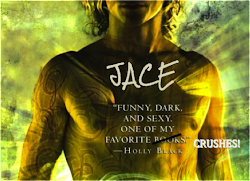 Bethany has been so gracious to give us her list of TOP 10 FICTIONAL CRUSHES!!!!! 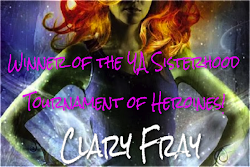 The YA Sisterhood especially loves her #1 Choice!!!!! 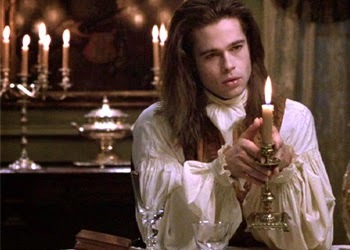 Anne Rice invented tall, dark, and brooding when she wrote Louis de Pointe du Lac. Doesn’t hurt that he’s played by a young, icy-eyed Brad Pitt in the movie adapt either. 9. Joe (The Sky is Everywhere by Jandy Nelson): He’s one of the few crushes I have that would actually work in real life. He could play me songs on his horn and we could cuddle away entire days in that bed in the forest. So much sigh for this boy in this effervescent book. 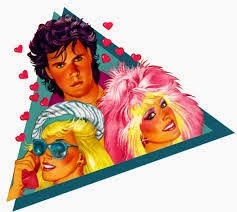 I know most of you are too young to know about Jem and the Holograms, but this was by far and wide my favorite 80s cartoon about a music biz exec, Jerrica Benton, who transforms via hologram earrings (I know, right!) into the international superstar lead singer Jem. This double life of awesomeness leads to the world’s most complicated love triangle ever because Jerrica’s main man, Rio Pacheco, also has a crush on Jem—who is actually still Jerrica. It’s a head scratcher, but he has purple hair, so we overlook the minor detail that he’s cheating on his girlfriend…with his girlfriend. 7. Ruby (Imaginary Girls by Nova Ren Suma): I’m an equal opportunist when it comes to crushes, and there’s nothing wrong with a good healthy hetero-girl crush. Chloe may be the narrator, but her saucy older sis, Ruby, steals the show in the novel. Girl loves fiercely and is willing to trade a life for those she loves—literally—but, man oh man, is she magic! 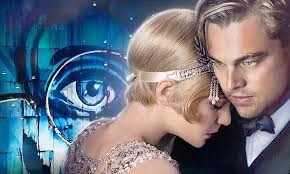 Oh, Gatsby. You asked too much of your flighty paramour Daisy Buchanan, but our love will shine brighter than her briny green light ever could. 5. Bruce Wayne (Batman): He’s frickin’ Batman, people! And rich and dangerous and has terrible taste in women. We’re meant to be. 4. Adam Wilde (If I Stay/Where She Went by Gayle Forman): Rockstar: check. Famous and tormented: double check. Dedicated to loving you no matter what as long as you stay safe: big world tour of love-sized swoony check. I wonder what it would feel like to kiss him on a sunny day on a private beach in the Caribbean with his sparkles washing over my tanned skin… I’m sorry, what were we talking about? 2. Romeo (Romeo and Juliet by William Shakespeare): Of course, I have a very specific image of my Romeo, and it is Leo DiCaprio in 1996 wearing that untucked suit, smoking as he scribbles all the feels in his journal underneath the Grove of Sycamore, pining over his ex, Rosaline. I shall make thee forget, smexy sir. I shall make thee forget. Louis may have founded the brooding business that is hunky vampires with a conscience, but Angel turned that billowy trench coat startup into a world-wide enterprise. I’m actually so in love with Angel that I hate David Boreanaz (the actor that played him). He’s on Bones now and not telling Buffy “in 243 years I’ve loved exactly one person.” It’s a crime. A crime I tell you! Waiting on Wednesday is a weekly meme hosted by Jill over at Breaking the Spine. It spotlights books that have not yet been released, but ones that you should pre-order today! This week's book that we are anxiously awaiting is ZAC AND MIA by A.J. Betts. 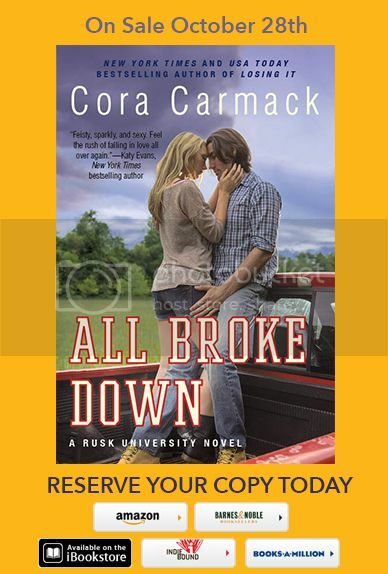 It will be released September 2, 2014 from HMH Books for Young Readers. Yeah, I'm getting shades of The Fault in Our Stars, too! But the first chapter really rocks, and the voice of this book is so different. And if you need proof that this book isn't a wannabe follower of that other bestseller, this one won an Australian Literary award in 2012. 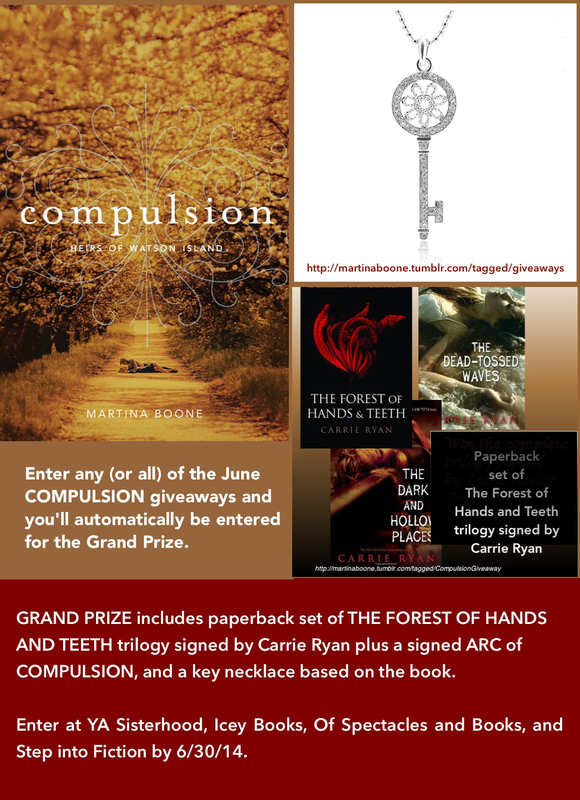 We want to thank Martina Boone for hosting this giveaway!!!! 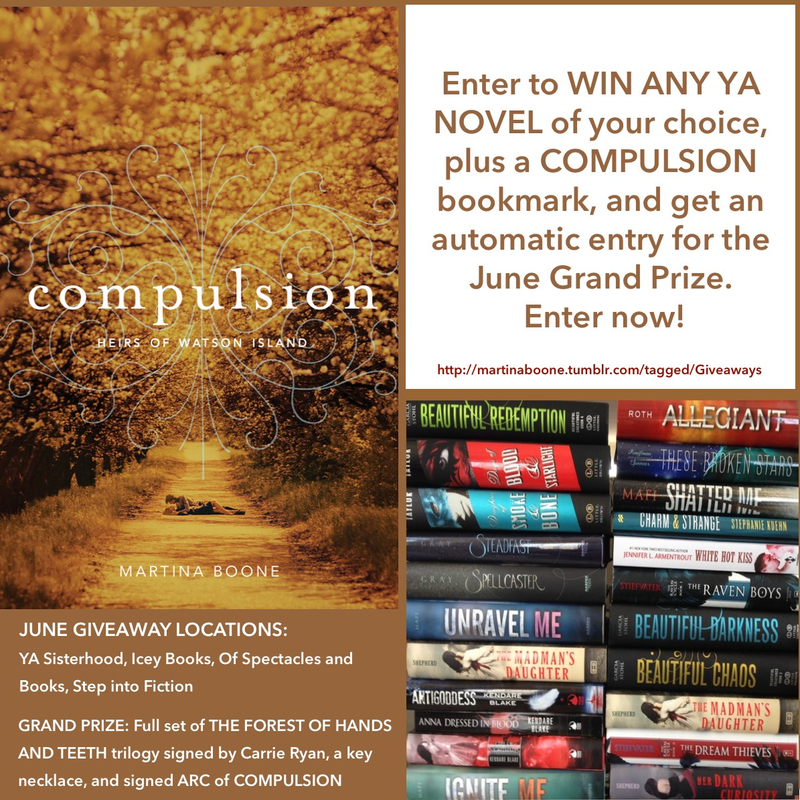 Be sure to add her upcoming book, Compulsion, to your Goodreads To Read List!!!!! The giveaway runs to the end of June. 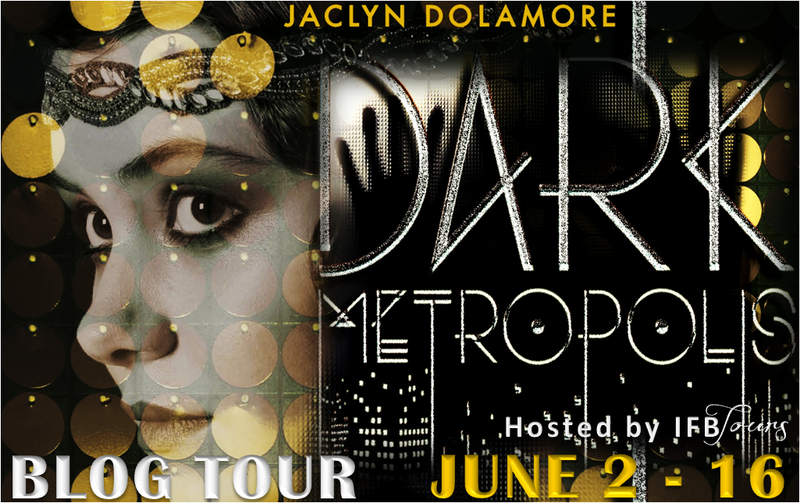 Today we have the pleasure to host the blog tour for Jaclyn Dolamore's new book, Dark Metropolis! Be sure to enter the giveaway at the bottom of the post. 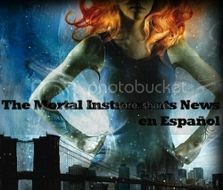 Dark Metropolis was one of those books that immediately caught my eye (while I was book stalking on Goodreads of course). The cover was so provocative and alluring, and then I read the synopsis. This book sounded new and exciting, and I couldn't wait to get my hands on it. The 3 things that drew me in, you ask? 3.) 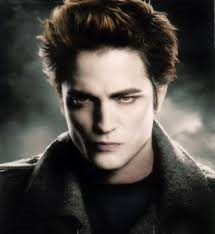 Freddy--magnetic and mysterious with secrets to hide....love! Jaclyn's world is gritty and spell-binding, and I found myself turning the pages faster and faster. 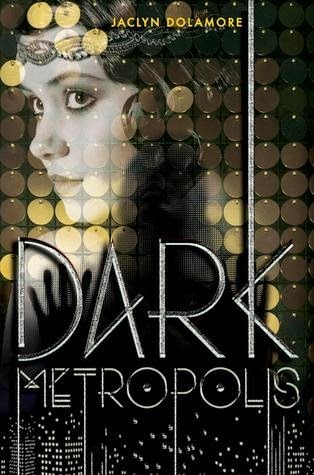 Just like it's cover, Dark Metropolis is beautiful and haunting. I love that this book doesn't get weighed down in history. It has just enough to introduce you to their world and the past that led them to the current underground revolution. I don't like getting bogged down in the details; I much prefer to get to know the characters more intensely. As a result, the pacing was well-done. I didn't find myself bored, double checking when the chapter was going to end. On the contrary, I didn't want to stop reading--even when I needed to! I really (I mean really) loved the Telephone Club, and I do wish we could have seen more of what really goes on in dark corners of the club. It was by far the most interesting setting in the book, and I found myself waiting to get further and further into it's lavishness. Jaclyn did a good job of switching from one character's setting to the next, but I do wish that there were fewer characters that we had to follow so intensely. There were times when I felt like there were too many characters that she focused on (not too many to keep up with), and at times it made the book feel disjointed. I wish that somehow the stories could have been told with more connection. And finally, the romance. The romance progressed pretty slowly, and I do wish that it would have had more passion. This world was so well built and so intoxicating that the romance just didn't live up to what was going on everywhere else. I almost wish this were written as a NA as I think there could have been some amazing romance that really makes you swoon. 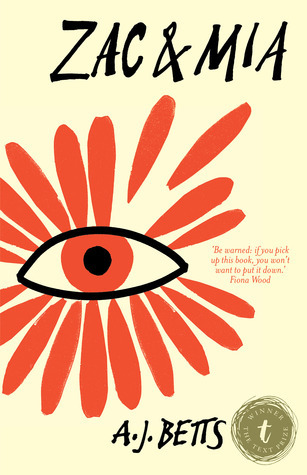 Overall, this was a great book and a welcome change from what we see everyday in the YA genre. I will definitely be reading more of Jaclyn Dolamore!! !